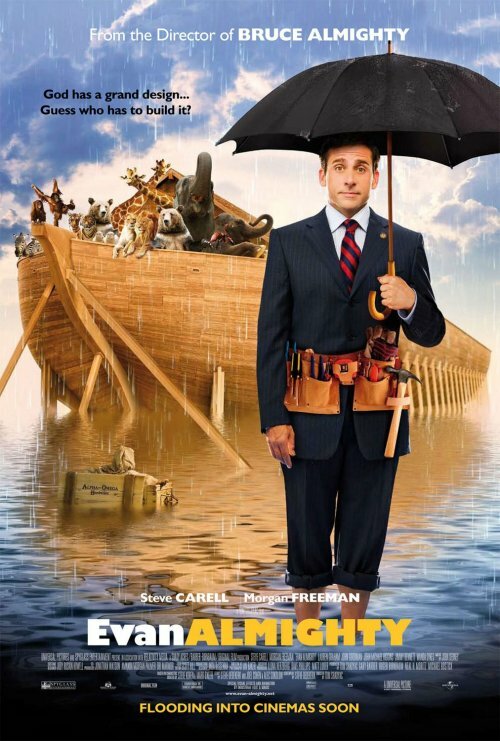 The posters for Evan Almighty have been pretty consistent. Show Evan. Show the animals. Show the ark. Make the whole thing colorful and use a nice blue sky as background. They even went with the blue sky background in the poster where it’s raining. The one thing that is really different between the poster above and the ones below is the use of prophet Evan instead of suit Evan. Personally, I prefer prophet Evan, as it fits better with the whole image. But I understand that with suit Evan they are going for comedy through contrast, and I think it works pretty well also. The poster above also places the movie in Washington, something that the posters below don’t. I’m not sure that the location will be much of a drawn with this movie, so it’s not a big difference. The posters will probably work well with the movie’s likely audience. 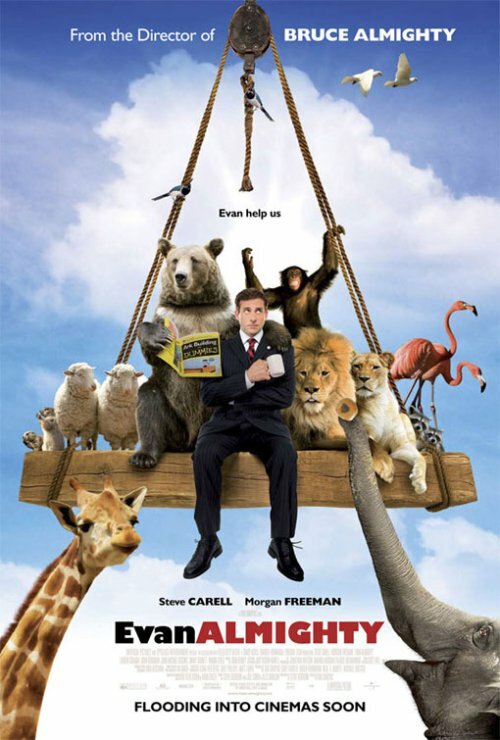 Seeing Steve Carell deal with a bunch of animals is the main attraction of the film, and the posters do a very decent job of highlighting this aspect and making it seem appealing. As a matter of fact, they even manage to get me curious about seeing the movie, even tough I’m pretty sure it won’t be very good. 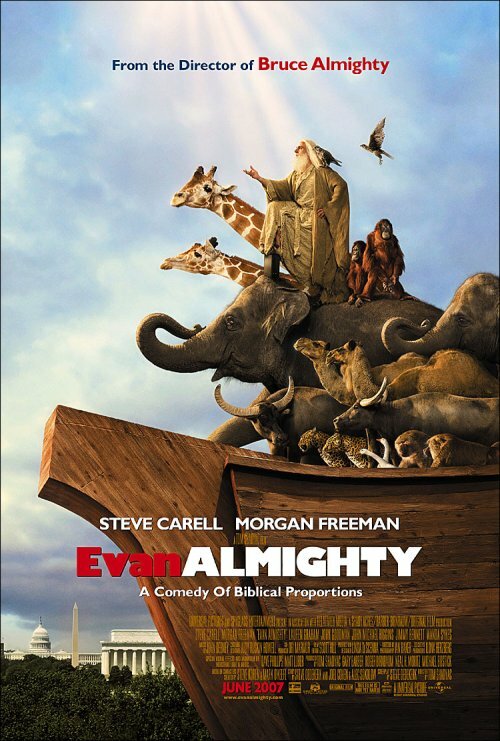 Evan Almighty opens this Friday, June 22th.